Tinctures are alcohol based extracts. To make these herbal preparations high-proof alcohol (such as vodka) as solvent is used to extract the essential compounds of herbs. This is a simple and efficient method appreciated by most herbalists since they can preserve this way herbal nutrients for a long - long time. Tinctures have an average shelf life of 2-5 years. high-proof alcohol (at least 80 proof). Good quality vodka works well. dark glass bottles for storing the tinctures. Put your herbs into the jar and add the alcohol. Generally, the ratio of fresh herbs to alcohol is 1:2 (1 part herbs to 2 parts alcohol). The ratio of dried herbs to alcohol is 1:4 or 1: 5 depending on the herb or the parts of the herb to be extracted. In case of woody parts and roots, increase the alcohol rate. Screw the lid on tightly, label your jars and let them steep in a cool, dark, dry place for at least 3 weeks giving the jars a little shake on a regular basis. Strain using a fine strainer or muslin and store the tincture in dark glass labeled bottles. For this simple preparation water is used as solvent to extract the active constituents of a herb. This kind of extractions can be used in creams, toners, lotions, herbal baths & soaks etc. Still, their self life is quite limited due to the (very) high water content. It is preferable to use them fresh in face masks, baths & soaks or as fresh toners preserving them for a couple of days in the fridge. Put 1 full tablespoon of chopped dried herbs in the jar and then add 250 ml of hot water. Place the lid to avoid essential oils' evaporation and let the herbs steep for at least 1 hour. For optimum results it's better to let the herbs steep for 6 to 8 hours. Strain the herbs using a fine strainer. Your infusion is ready to use. Another popular and efficient way to extract the healing properties of the herbs is to use vegetable oils as solvents. 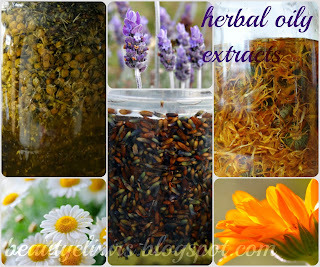 This way the oil soluble active ingredients as well as the scent of the herbs can be extracted. The infused herbal oils should not be confused with the essential oils. The process for these preparations is quite similar to that of alcohol tincture; instead of alcohol a vegetable oil is used as solvent. It's important to use stable vegetable oils rich in vitamin E that do not go easily rancid. 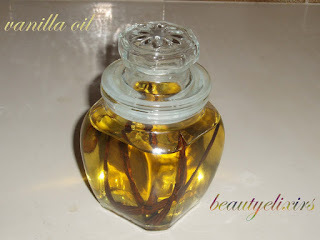 The most common oils used for oily extractions are olive and almond oils. dark glass bottles for storing the infused oils. The ratio to use is 1:4, 1 part of dried chopped herbs to 4 parts of vegetable oil. Put the herb into the jar and cover it with the vegetable oil. Let the herbs steep for at least 3 weeks in a warm place shaking it from time to time. Warmth facilitates the active ingredients of the herbs to be released. 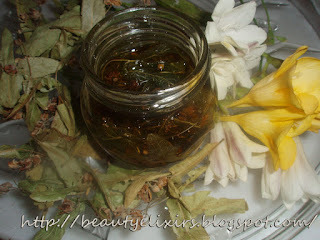 Strain the herbs using a fine cheesecloth or muslin and store it in dark glass bottles. Label them. Adding vitamin E at a rate of 0.2% protects the infused oil from oxidation. Herbal infused oils are used in massage oils, salves, balms, in healing creams and ointments. Glycerin is an alcohol in the form of a clear sweet thick liquid. It is a by-product of the saponification process and is obtained through the hydrolysis of vegetable or animal fats & oils. Glycerin is slightly antiseptic, humectant (it absorbs moisture) and once it is used dissolved with water it has soothing properties. 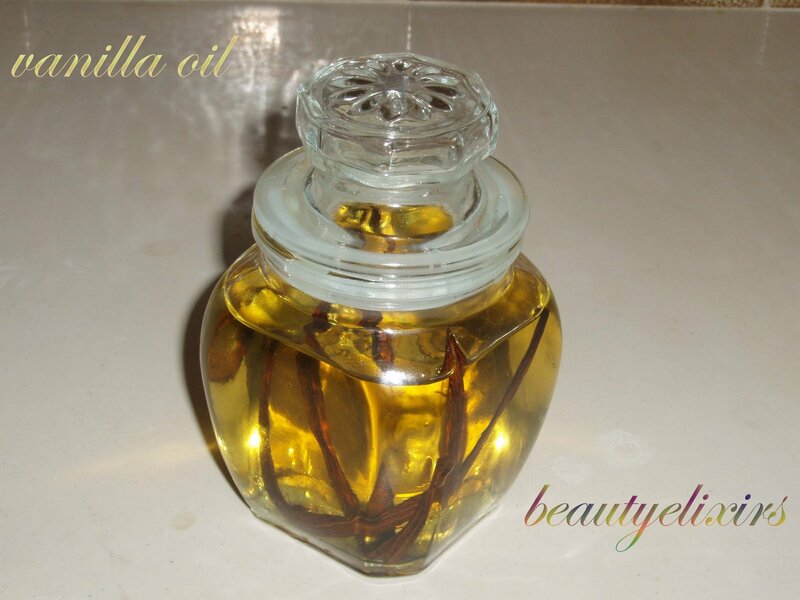 It is a strong solvent, suitable for herbal extractions but it is milder than alcohol. It cannot dissolve resins or oil soluble substances. Glycerin extracts are valuable in homemade cosmetics; they are beautifully incorporated into the water phase of creams & lotions combining the active herbal substances with the soothing properties of glycerin. In a jar mix glycerin and water; shake well to combine. In a dark glass bottle put the herb and pour the liquid mixture over the herb to completely cover it. Label your bottle and let the herb steep for at least 3 weeks agitating regularly. Strain with cheesecloth, bottle, label and store your extract in a dark cool place.